The Best Physical Therapist in Charlottesville! 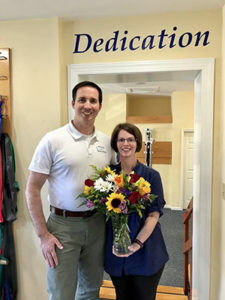 It is with much celebration that we here at Move Better Physical Therapy get to honor a very special therapist, our very own Heather Walton DPT, OCS. 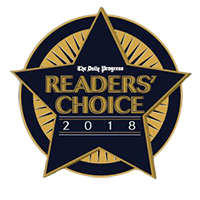 Heather was selected as the winner of The Best Physical Therapist in Charlottesville, in Best of C-Ville 2018. We also get to applaud a second Move Better therapist, Rodney Madagan DPT, OCS with the honorable mention. Congratulations is in order for the two of them! Both thrilling and humbling does not begin to describe the feeling of being recognized in this way as it shows us that our unique model of placing the patient/client at the center of our practice, is well received. Also Knowing that our clients get to enjoy having their personal Physical Therapist educated to a doctoral level in PT along with being a Board Certified Orthopedic Clinical Specialist (OCS [more on that in a moment]), is an exciting bonus. The OCS achievement gives us a sense of pride as only 6.9% of all PT’s nationwide have completed the 2000+ hours of professional experience needed before undergoing a grueling exam given by the American Physical Therapy Association (APTA) to achieve this board certification. All of Move Better’s eligible physical therapists have obtained BOTH levels of credentials which allows our patients to receive nothing but highly trained and skilled therapists or simply put, “the best”. Our Move Better team also believes that in order to get people to move better, questions need to be asked and a patient’s progress must be observed at every visit. This feat would be most difficult if we used the lesser trained physical therapy assistants to do the work of a proper professional DPT, OCS. Our Doctors of physical therapy are hands on and one could say fully accessible (that is an understatement) to our patients at each appointment. Our approach allows us the ability to discuss at length the conditions of each of our clients as we systematically communicate with our physicians over the referrals they have entrusted with us. So Thank you Charlottesville for the honor you have bestowed on us and for seeing Move Better’s Heather Walton, DPT OCS as the highly trained, caring, and well credentialed DPT that she is. We at Move Better Physical Therapy are blessed to have her and Rodney Madagan, DPT,OCS, along with our other three physical therapists, on the team. Your vote of confidence urges us to continue to stay the course, avoid being ubiquitous, and keep you, a member of the Move Better family, as our main focus.